Lou Stovall "Origin and the Landscape"
The Washington Printmakers Gallery selected master printmaker, Lou Stovall for its fifth annual invitational exhibit honoring his life and artistic achievements. Stovall is a local DC area artist with international and national credentials. His array of spring floral prints "Origin and the Landscape" nicely coincides with Washington's current warm weather - thanks to global warming. Stovall stood attired in fashionable gallery black on Friday night, at the first of his artist receptions, before his vibrant abstract floral prints that popped off the pristine Payne's gray walls. 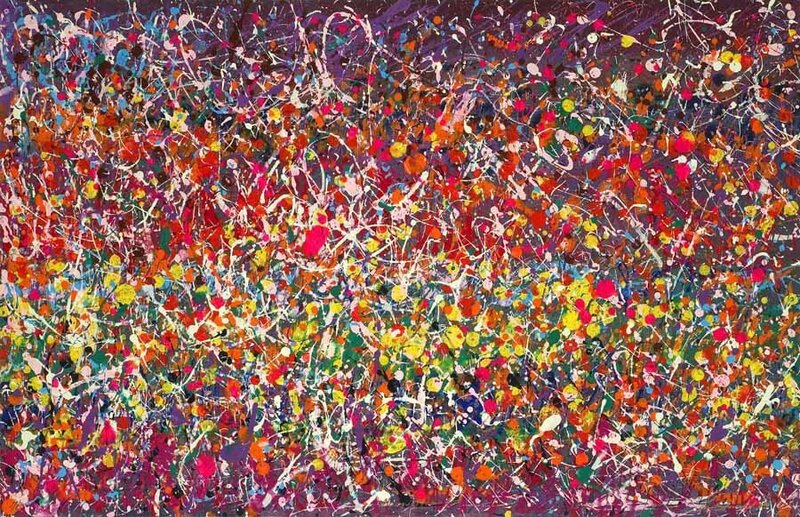 Several guests made references to Pollock, but anyone who knows art or Stovall saw no similarity. The monoprint, "Finale, Alla Breve," has gestural black and green strokes that hop and skip across the surface. Each of its strokes has a beginning and an ending. 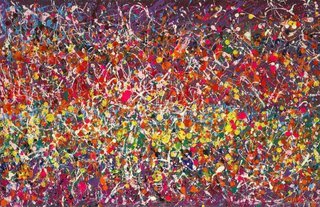 "Marguerite," named for the character in a Faust opera, is composed of small colorful dots and circles with tiny arcs. If you look closely at Stovall's work you see control. His arcs and gestural strokes unlike Pollock's, are intentional and he leaves nothing to chance. This show exemplifies the work of a true master technician. The triumph of the human spirit is to rise above limitations to create a sense of order, a place of well-being, an attitude of possibilities, a desire for accomplishment. Artists Reception: Sunday, January 7, 2007, 2-5 p.m.
Brown Bag Lunch Presentation: Thursday, January 11, 2007, 12 noon.